From early in the 1990’s, aluminium composite panel (ACP) has become a standard material for medium and high-rise buildings across Australia. It revolutionised the building sector by providing a low-cost, aesthetically pleasing skin or layer that was easy to attach to a building’s framework. Benefits of this cladding included its ability to stop wind and rain entering a building, sound and thermal insulation as well as fire resistance. In addition, it was required to meet minimum standards under the Building Code of Australiai. 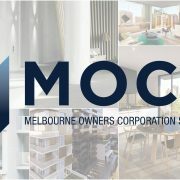 In the aftermath of the disastrous Grenfell Tower fire in London on 14 June 2017 and the Lacrosse building fire on 25 November 2014 in Melbourne, questions are now being asked regarding the viability of cladding, and potential impact across Australia given the significant growth of multi-dwelling developments.